Everytime I put on my search engine "Fashion and architecture" I get flooded with images like this, where there's no doubt about the existence of a relationship between both of them, I can see that. But, that's not exactly what I'm looking for when I tip fashion and architecture. It's easy to find images about architecture through the point of view of fashion, with tons of intricate patterns inspired in buildings, façades and origami-shaped sleeves. But that's not what I'm exactly looking for. So, as I didn't find anything the reverse way (fashion seen through the point of view of architecture), today I wanted to share with you some musings, sketches and lucubrations I made about the topic while doing research through different sources. And that's where the concept promenade architecturale by architect Le Corbusier comes in. For me, the concepts fashion and architecture together in the same phrase involve an understanding of space, light and movement. Architecture helps enhancing the volumes, colors and patterns of fashion creations by conducting them through the space. That's why I find of most importance to be very aware and have a bit of knowledge when making a fashion catwalk: the different paths, points of view, stops and general ambience are as important as the fashion collections shown. A catwalk poorly designed can ruin the best of fashion collections. I'm very pleased that architecture and interior design has gained a lot of protagonism when it comes to fashion, especially when designing fashion catwalks, shows and related events of all sorts. 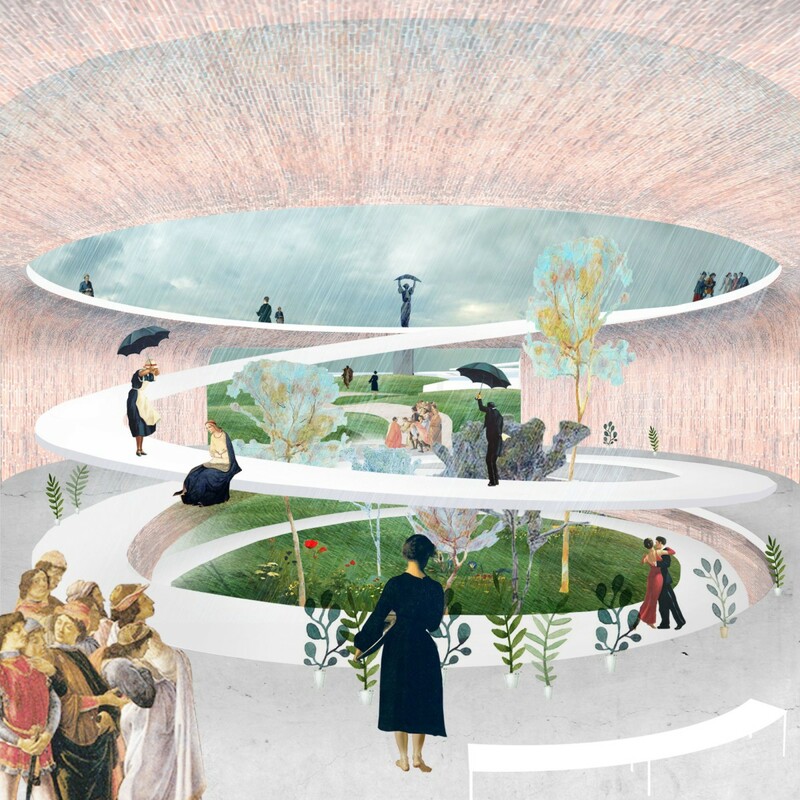 One of the trends I'm more pleased about is the application of the promenade architecturale to catwalks, which is basically experiencing a space (we'll add experience fashion to this matter) through a path, looking for fluidity and continuity on every step. 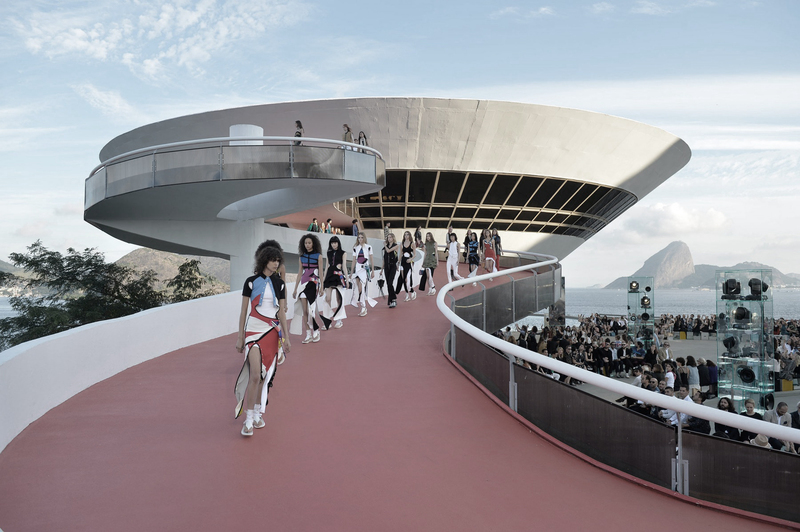 The use of ramps, stairs, balconies and other elements found in the catwalk space to interact help the designs to be enlightened and shown through different types of light (natural and/or artificial), exposed to different colors and exhibit movement of the fabrics and different textures. I love kimonos. There's something very fancy and chic about them, and I really like pairing them with my daily outfits because they add an extra layer full of color and spontaneity. However, I must say it's not as easy as it looks to put on a kimono robe or jacket every single day: they are usually quite long and require a bit of height on your shoes (if you're a tiny mushroom as I am) or, are made of the thinnest and most delicate materials as silk or chiffon that it would be a pity to ruin any of them on a commute to University. So, in today's outfit post, I wanted to show you a different kind of kimono to wear everyday, which is super comfortable, classy and able to suffer our day to day routines. It's a cropped kimono top, which is practically a 4x4 clothing piece! I love that I can style this top from Lightinthebox in very different ways: either Summer or Autumn on its own or layering it with a turtleneck or top. 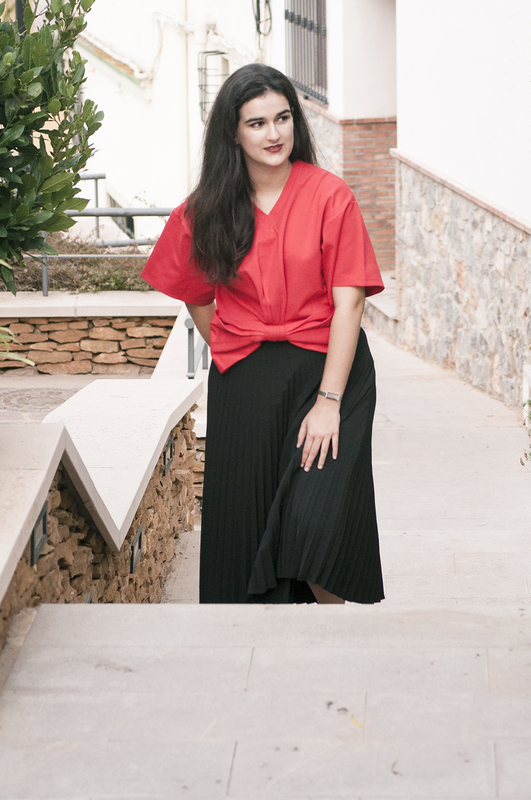 I paired the cropped kimono with a pleated maxi skirt and low heeled sandals for a stroll at the town after work, which was quite funny, as I didn't remember the cobbled streets here were so, so tortuously sloping. 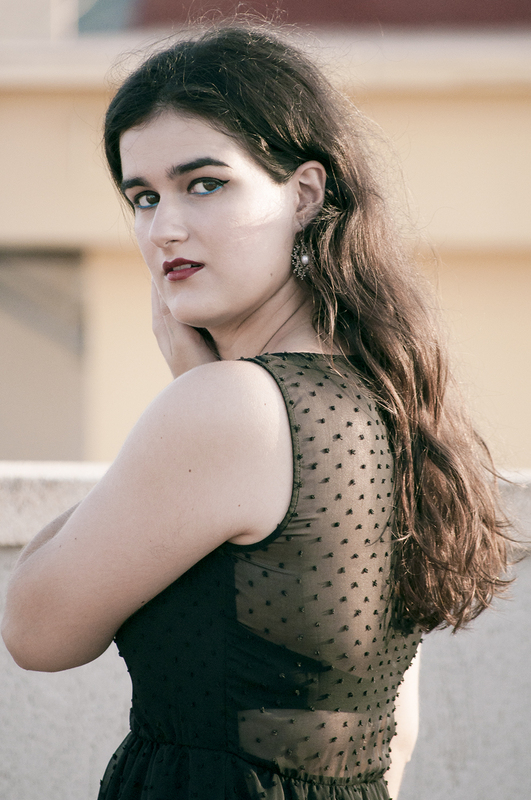 Add to that the horrible heat wave that's been around the last week and the super thick fabric of the top which equals as me dying slowly while shooting this pictures. 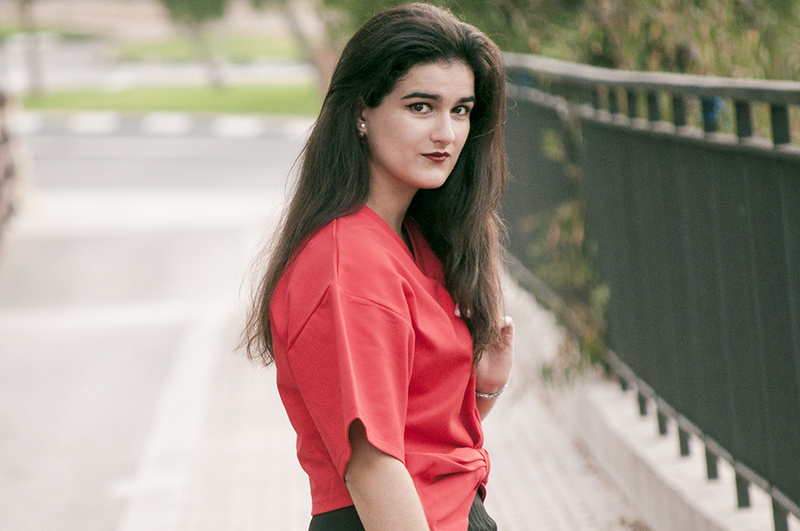 But, everything went smoothly and here I am another week with the pictures for the outfit post just right in time! Any more ideas on how to wear a cropped kimono, or a regular kimono? Check the following! I like to mix different heights and shapes when pairing any sort of cropped upper part with a high waisted bottom piece. I like the way high waisted skirts and pants look with crop tops and fancy tops which are a bit shorter in their cuts that usually: they'll help you look a bit taller! I'm a huge advocate of wearing bright colors. They just help anything cheer up and lift the spirits on a gloomy day! 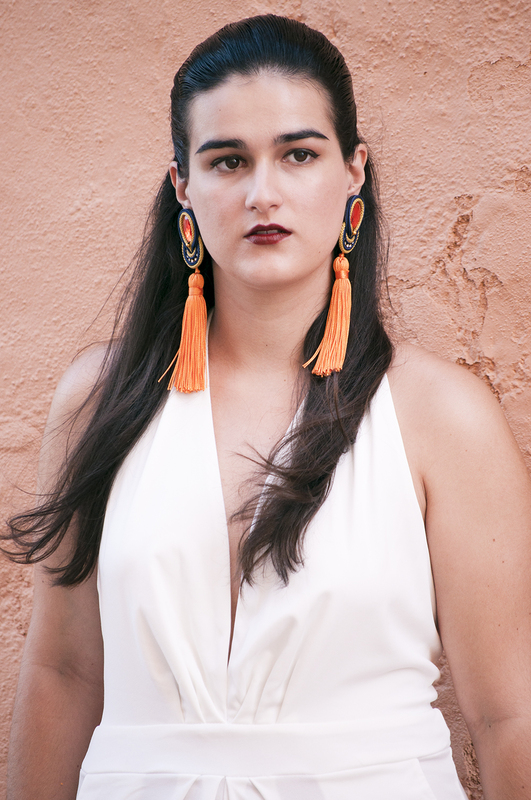 My way is to pair colorful, statement pieces with others that just balance the look, always looking for monochromes and plainer clothes, like a basic and minimal pleated skirt or a pair of tailored pants. This way, color always win the protagonism on the look! Just in case you do not like to show a lot of skin or your stomach, which used to happen a lot to me a while ago, just wear your favorite cropped piece above a simple tank top, T-shirt or even a turtleneck for Winter! 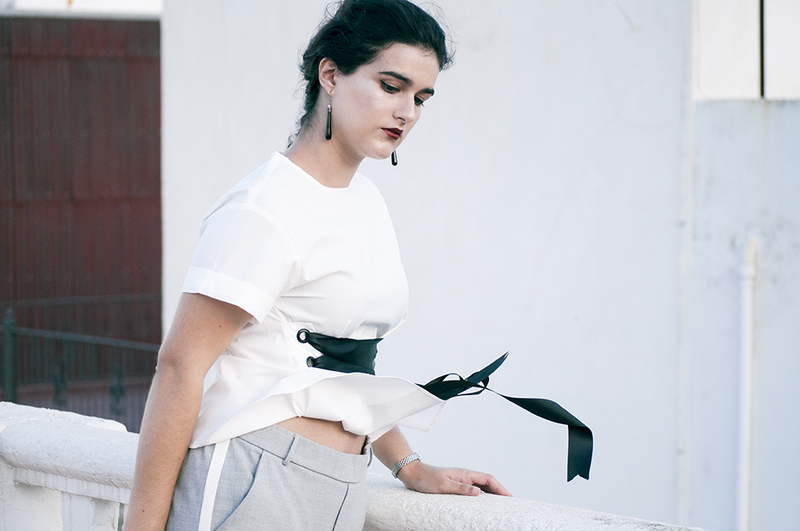 You'll not also achieve an unconventional way to style a cropped top, but also, make the best of that bargain by using it in different ways and seasons. I'm graduating! After five years of titanic efforts, sleepless nights and crying A LOT due to frustration and tiredness, I can't believe that I'm finishing this thing off and finally moving on. Well. Sort of. Let me explain a bit. The Architecture degree has 5 obligatory courses in Spain. On the contrary that other European countries, where you can achieve different qualification degrees depending on how many years you spend studying architecture/design engineering (two courses, or three years plus two more for the Master's degree), not in Spain. You are supposed to finish your 5 course diploma, or you're NOTHING (you can't possibly leave once you're at third year and get a basic diploma). Five courses which aren't what we would call easy, and which aren't actually translated into a course per year. Then, once you finish your 5 year diploma, you are expected to take a 1 year Master degree, in which once you finish, you are able to sign your own projects and designs as head architect (which many of us will take, as it's almost the only way with architecture around here). 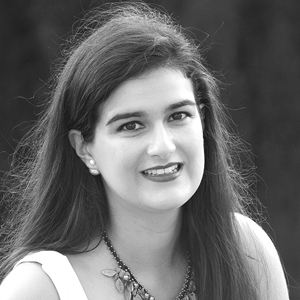 So, what's all the fuss around the Erasmus year, and graduating and so on? Well, I didn't actually finish my fifth course and although I'm leaving to do just a couple of subjects left in Italy, I will be graduating anyway this coming September along with my friends and coursemates. Which leads to... Graduation ceremony outfits! In Spanish universities, it is quite typical to held a diploma ceremony with the director of the Faculty or School you attend to, some professors and teachers, your family and friends. We don't usually wear robes nor caps, instead, we are put a sort of sash with the year of entrance and graduation, and our School's crest around our shoulders. I think it's pretty close to a prom ceremony, but without the robes and caps. After receiving our sashes and diplomas, we then go to take lots of pictures with our relatives and then, head to have dinner and party all night long! So, we ought to look our best in our graduation dresses and outfits, as we will not only be called one by one to the stage but also, get photographed zillions of times on that evening. So, today I'm partnering up with the team of Lightinthebox to show you my take on a graduation/prom outfit approach with a chic twist. I think going for a jumpsuit is a great and super astonishing option for a graduation ceremony. Is as valid as any other but, I assure you not many are brave enough to go for the different! I'm seriously considering wearing this white V-neck halter jumpsuit on my graduation day. I find it perfect as it's comfortable, light and a bit playful, I must admit! I particularly liked the fabric and color from this one at Lightinthebox, as the fabric falls heavily to the floor and surprisingly isn't see-through! So, what's your ideal graduation ceremony outfit? There's something really cool and different in culotte pants! Although great for Winter, I find them to be most suitable for warm temperatures and Summer season, as they're super light and flowy. And what does Summer mean besides sun, beach (if near) and high temperatures? Why fiestas and festivals, of course! I don't know what's like at your place but, here in Spain there are tons of both musical-partying and traditional festival taking place in Summertime. Specially in little towns away from huge, crowded and warm cities. Even with my full-time Summer internship at the studio, I've had the chance of wearing my orange culotte pants for the festival taking place downtown, which has been very fun. It's incredible how a Summer away from the city can change anyone's perspective and focus! Although there's a wide variety in materials and fabrics out there, and of course, there are culottes for Winter made of wool and thicker fabrics, I prefer them to be worn in Summertime in light, flowy fabric! Silk, light cotton or denim... Culottes were made for Summer season! I like how this fashion piece resembles a skirt, but without your legs getting glued to any plastic chair you sit on (which I suffer constantly, what a shame!). Culotte pants are that kind of statement piece in anyone's outfit that can make the whole assemble stand out of the crowd, and that's why I find them perfect in bright colors. I like to style my orange culotte pants with black or white plain tops, or cropped tops, but it is also a marvelous idea to wear them by color-blocking different colorful pieces. The shape and length of culotte pants, in addition to me being quite average height (1.67 metres tall, barely a 5'5") makes me looking like a little cinnamon roll if I wear them with flat shoes. Instead, I prefer wearing a pair of wedges (nothing too crazy) or go for high heels if I feel in the mood for them. This way, culotte pants create the illusion of a narrower waist and elongate the figure. I find bralettes and cropped tops the best friends of culotte pants. They just look so cool and effortless! As I always advise, play with shapes and experiment with different points of view to your look. Take a chance, it may work out! Valencia-Pisa flight. Check. Cute and spacious student home away from home, with a couple of architecture students to share. Check. Italian lessons online and a slight idea on how to communicate abroad. Check. Seriously guys, I can't believe it's almost time to leave and start pursuing a year full of experiences, a new language in my CV and a life away from home, family and friends. I'm so excited! One of the things that is really, really worrying me is how the heck I'm going to pack a year of clothes and stuff to live in a country that I barely know, with a weather I'm not familiar with and with a daily routine still unknown. 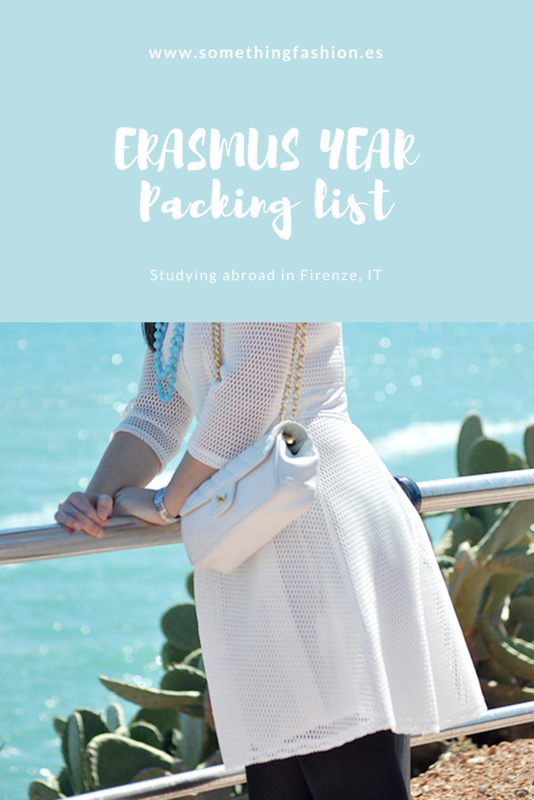 Yes, I'm that kind of girl who likes to have anything under control, and I can't help tossing around this thoughts when it comes to the Erasmus year abroad! I'm leaving in mid september hopefully, so, I'll have to figure out how to pack a whole suitcase and no carry-on (as I can't cope with the fact that we'll be taking a couple of trains and public transport to get to our new home at Firenze. All that, dealing with cobblestone streets while pulling a couple of suitcases, in an unknown place? No thanks) which will be substituted for a huge backpack. And I think that's all folks! Although I've tried to be the most accurate possible, I'm sure I'm missing things. What is your ultimate packing list for leaving abroad? Tell me on the comments' box!